These kidney section models are colorful and anatomically accurate. 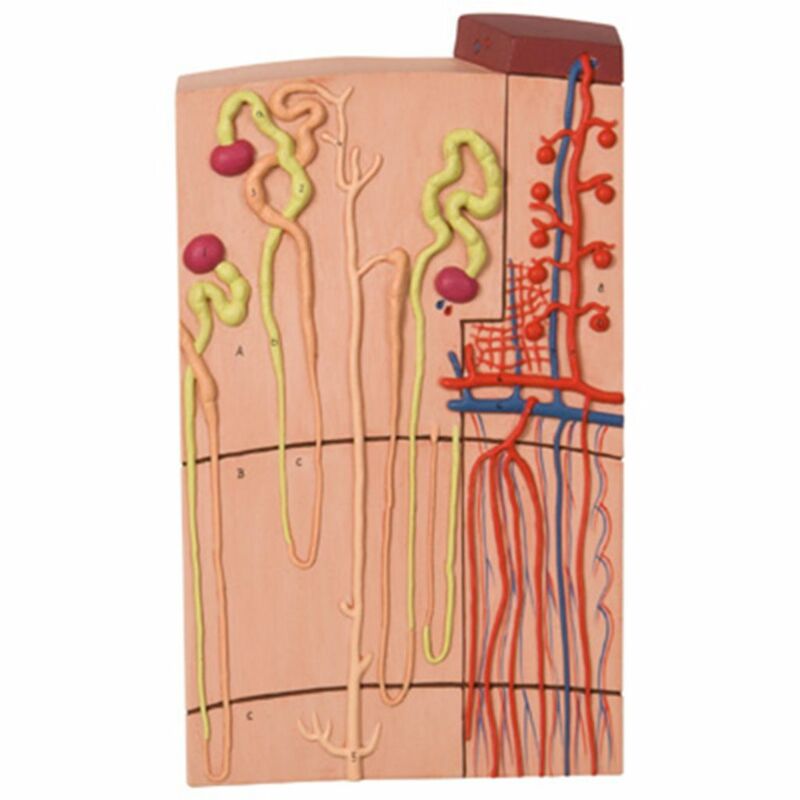 They depict a longitudinal section of the right kidney, a detailed view of the nephrons and blood vessels, or a renal corpuscle. 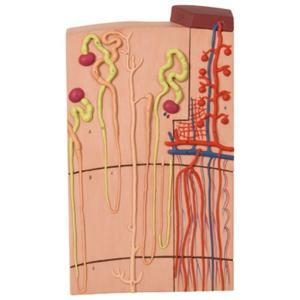 The models show the important structures of the human kidney for student and patient education. 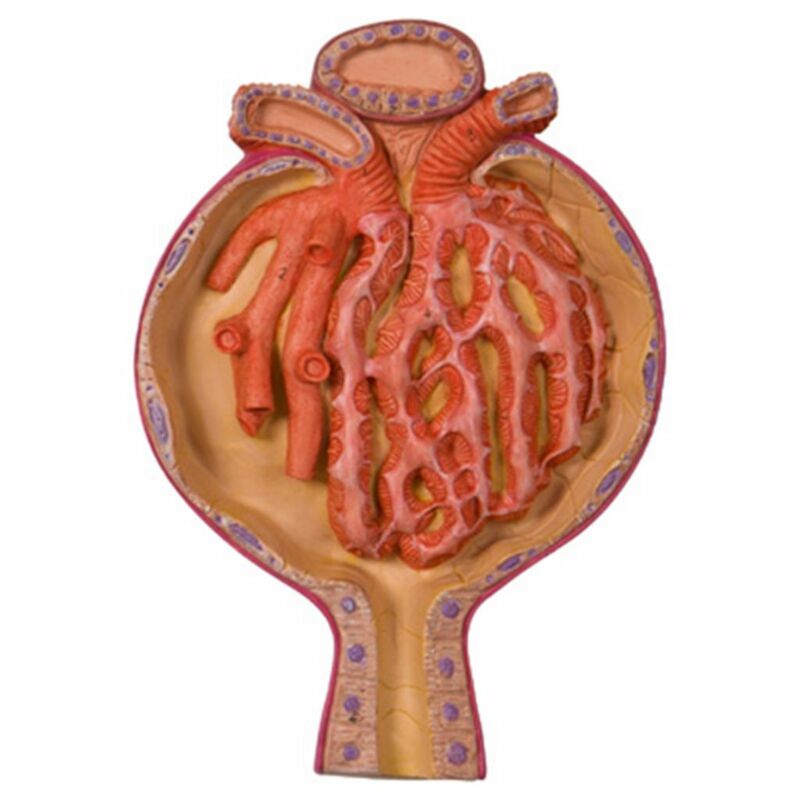 The kidney is three times larger than life size, the nephron section is approximately 125 times larger than life size, and the corpuscle is 700 times larger than life size. 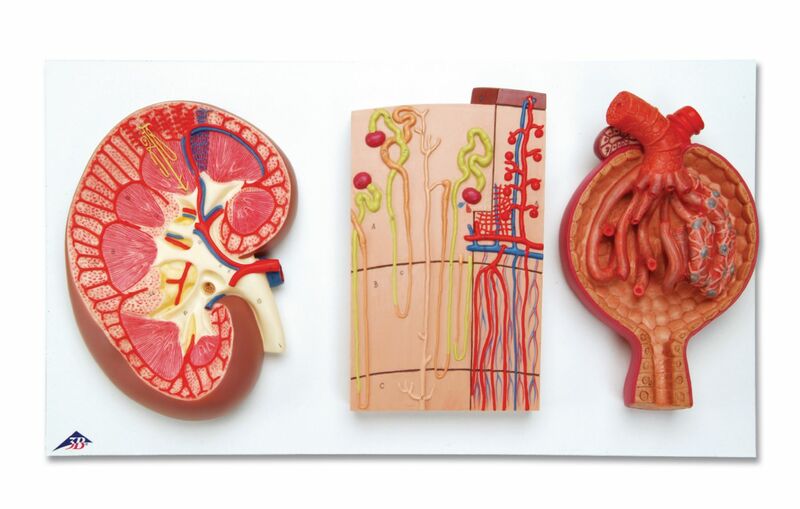 Each kidney section model is mounted on a baseboard and comes with a users' manual.